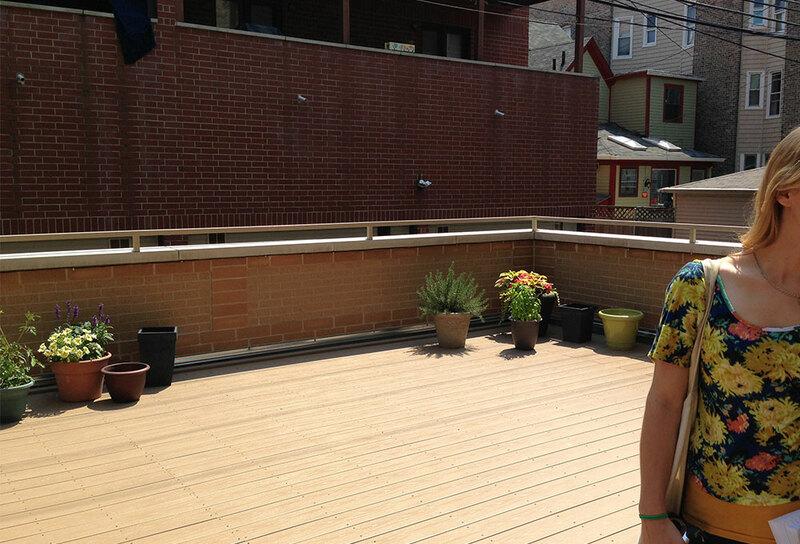 This project is a great example of the transformative power of adding an outdoor space to a Chicago condo. 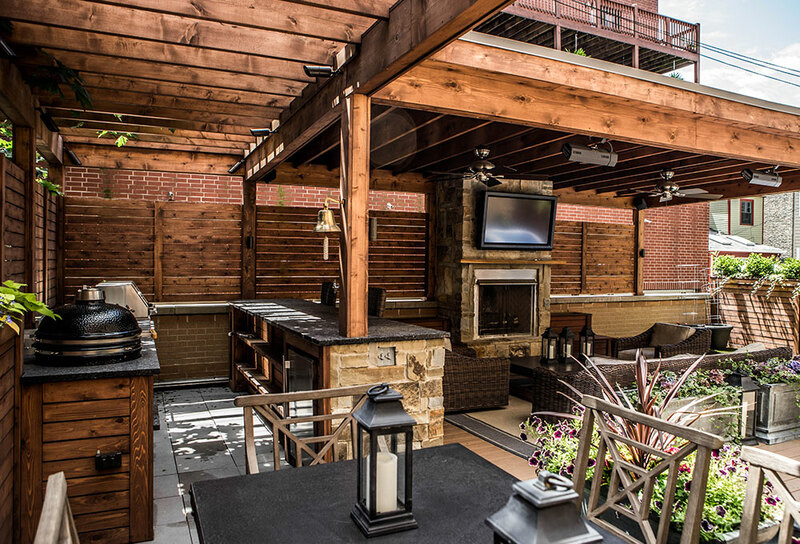 We developed this six hundred square foot garage roof deck into a fully functional outdoor living room and outdoor kitchen. 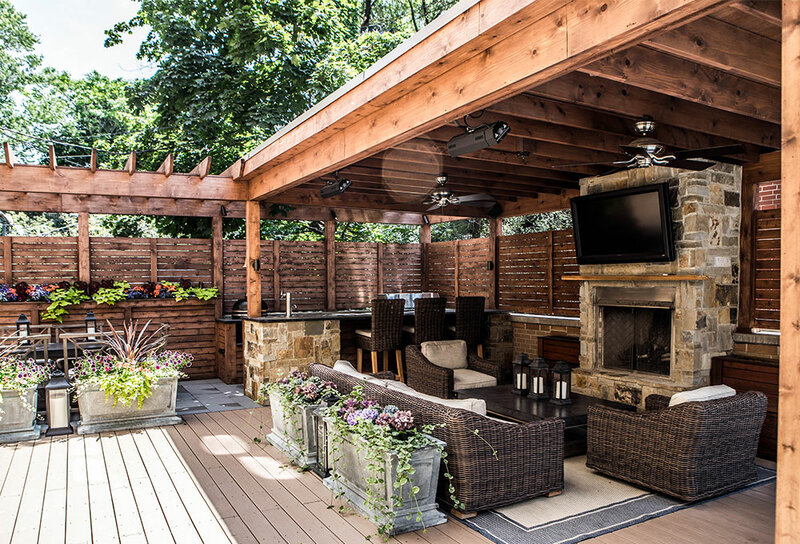 When the client hired us, the deck had no shade and was completely visible to all of the surrounding neighbors. By adding plenty of screening and a massive veranda and pergola combination, we were able to create a private and intimate outdoor oasis.